When it comes to makeup, I can say that I have tried all fields of it - okay, sort of - except for my brows. 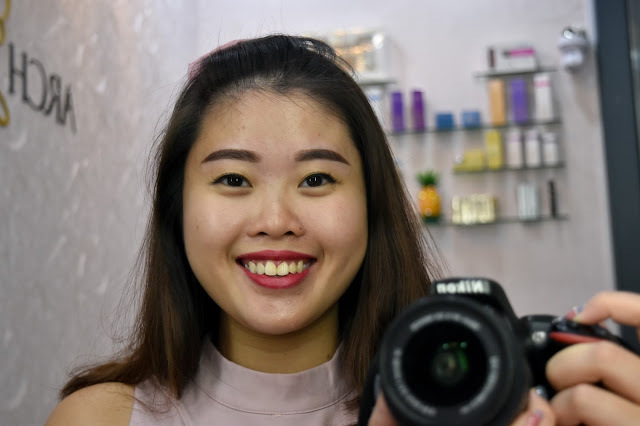 That's one thing I can never, ever get down to perfecting, nor bother trimming because half of the time, my fringe is covering one side of my face and also because I have zero tolerance for pain when it comes to the plucking of my eyebrows. 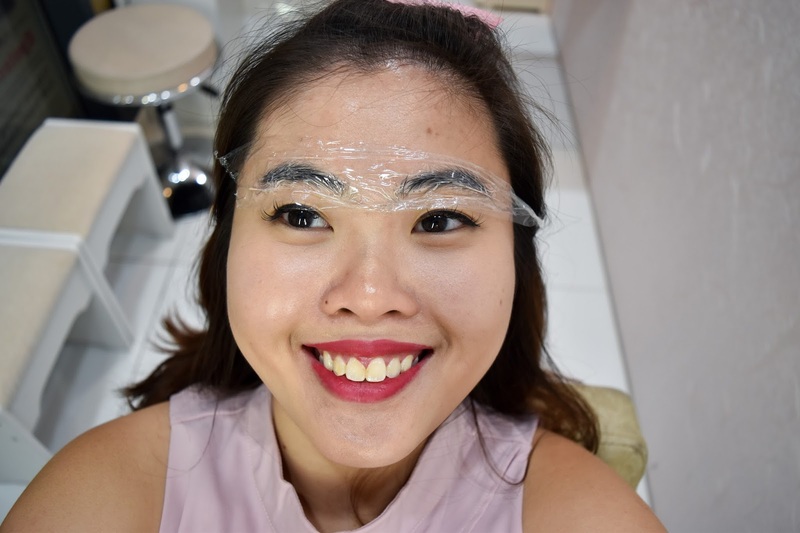 That's why, when a friend of mine approached me if I wanted to try the Korean Eyebrow Embroidery, I jumped at the opportunity BECAUSE MY EYEBROWS NEEDED HELP. I've never, ever done anything to my brows except for the minimal trimming during facials and that's it. So you can imagine how unruly they were. 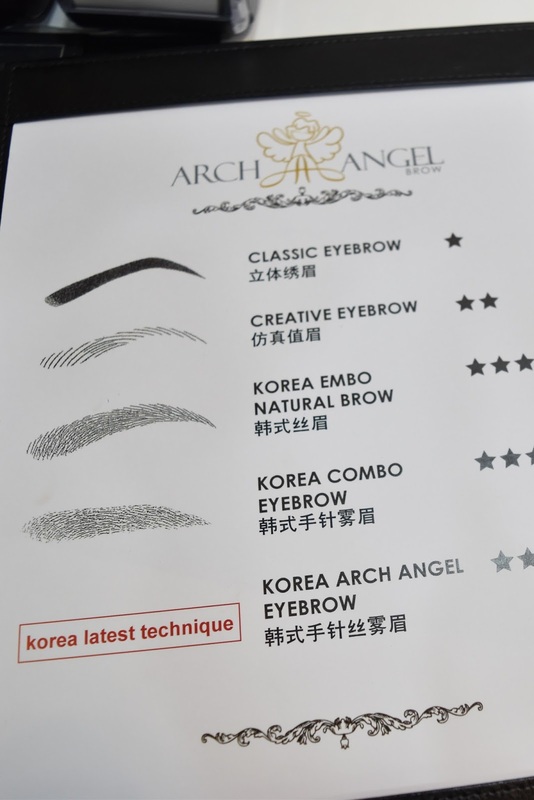 For those who might now have heard of Arch Angel Brow, they're the FIRST beauty parlour in Singapore that specialises in Korean embroidery brows. These embroidered brows can last for around 1.5-2 years with touchup, and can save you lots of time while doing makeup in the morning - thinking long term eyelash extensions, but for your eyebrows. Also, no, they're nothing like the old-school eyebrow tattoos where your eyebrows end up in weird patches of blues or greens after they're done. 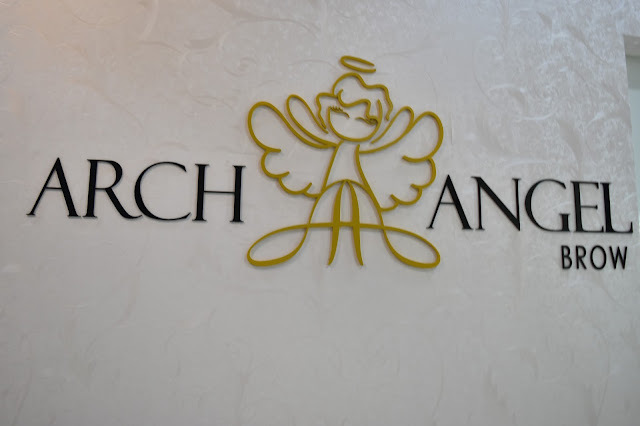 Here at Arch Angel Brows, they use specialized sterile instruments to place hypoallergenic colour pigments imported from Korea into the skin for softer, more natural results. So yup, imagine having semi-permanant Korean-looking brows after this! Best part? They've no down time at all! 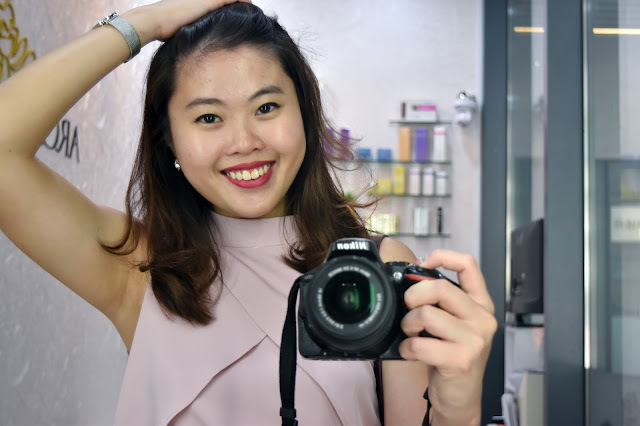 You can go about with your daily makeup and skincare routine without worrying about smearing the brows. Thankfully, I was blessed with thick eyebrows so I don't have to constantly worry about having to draw them on. But honestly, they just looked like untrimmed bushes up close. 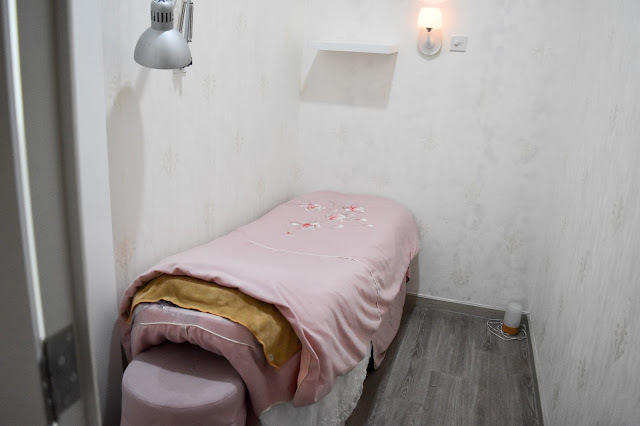 First, Kelly, one of the bosses of Arch Angel Brow, examined my eyebrows and assigned one of the staff to apply numbing cream on the brows for me so that the procedure later on wouldn't hurt. Oh and trust me, the numbing cream works like magic so you really don't have to worry about the pain at all! After the numbing cream was applied, Kelly then went ahead to design the eyebrows which she felt would suit me best - according to my face shape and hair colour! Since my hair colour is darker in colour, she chose a dark brown pigment for me. Other than customising your eyebrows, you can also select a brow colour based on your personal preferences! 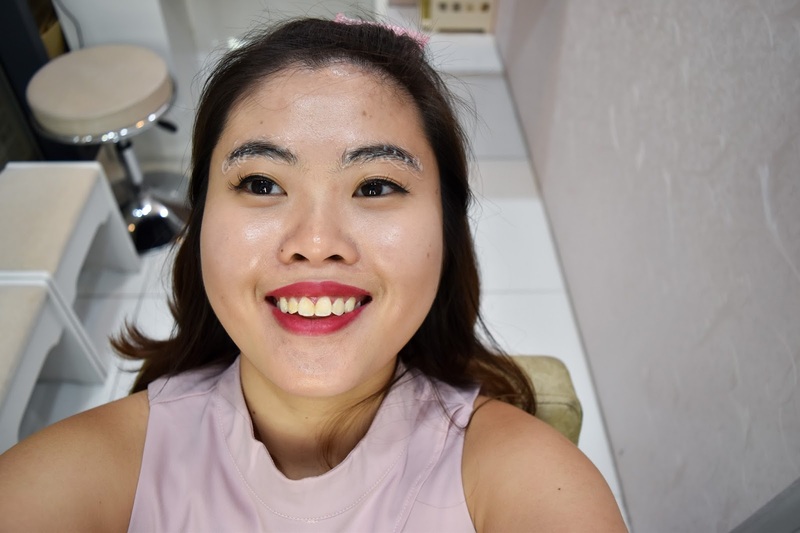 Kelly also helped me trim down my eyebrows (sigh) so they won't look so unruly, and also made sure that the customised brows she drew on for me would frame my face well! My new brows were a little more elongated to match the structure of my face. Oh and can I add how important is is to get an expert's opinions on your brows? 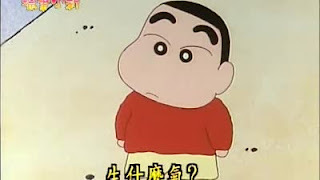 They're waaaay too many ladies out there who overdraw their brows and they end up looking like 蜡笔小新. After Kelly was done designing my brows, I was then brought to the room to start on my Korean Eyebrow Embroidery! The entire process took around 1 hour and throughout the process, Kelly made sure that I was comfortable and continued to reapply the numbing cream when I experienced any pain. I even fell asleep at one point of time! Oh, and one more thing. 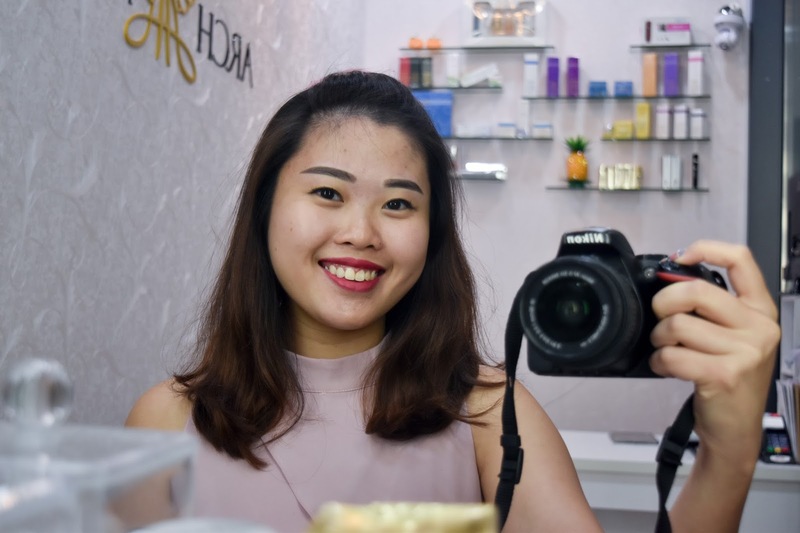 I must say that Kelly was extremely meticulous throughout the entire process - always doing double checks to make sure that the brows matched one another and do a thorough check on the colours of each brow so that they're equally pigmented. I mean, it would look really weird if one of your brows are darker than the other, or if one is longer than the other, right? So, kudos to her attention to detail! All done! It looks so much better and waaaay different from the previous set of brows I had! HAHA, see? I was so close to having a unibrow already. Not only were my previous brows patchy, they were also very unkempt. Happy with my new brows! And also a photo with Kelly! After the treatment, Kelly instructed me to apply the brow serum on my newly embroidered eyebrows twice a day so that the colours do not fade. 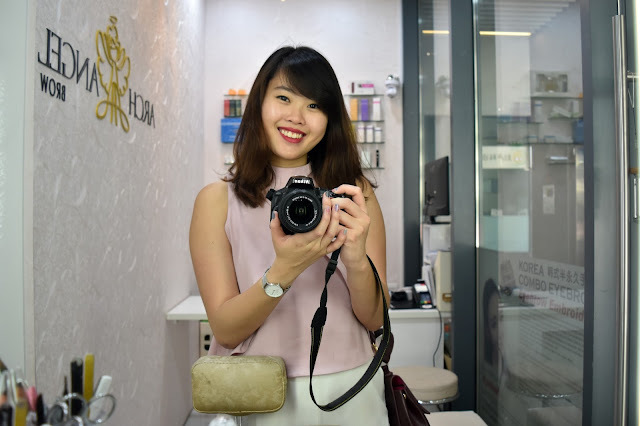 I've been applying them religiously every day, and I really do love the results! My next touch up would be in around 3-6 weeks time, and I can't wait! which kinda makes them the one-stop shop for anything beauty-related! The first 20 customers who quote <Cassan> when booking an appointment for Korea Combo Eyebrow Embroidery will also be entitled to Arch Angel Brow's signature facial worth S$188! 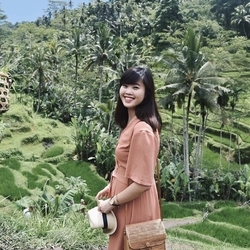 This post was written in collaboration with Arch Angel Brow. spectacular possibility to read critical reviews from this site.